Kernile S.A.E. headquartered in Cairo - Egypt, is a globally oriented peanut grower, processor, and exporter with established peanut farming and production network in Egypt and all over Africa, and sales network across Europe, MENA, and Gulf. Our business model focuses on successfully connecting farmer and manufacturer through responsible growing, sourcing, and processing while being an effective manager of the product supply chain. Kernile was established in 2013 as an Egyptian Dutch joint venture with in-house experience of over 30 years in peanut farming, processing and export. Kernile has previously been financially sponsored by the Dutch government due to its innovative business model and social impact on farmers and producers in Egypt and across Africa. 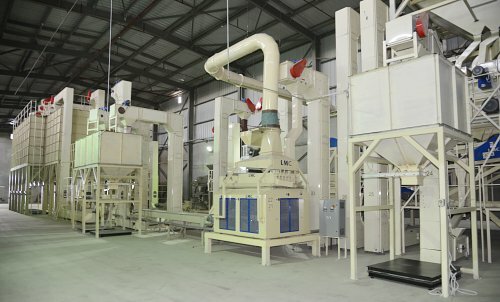 Kernile’s new peanut shelling and processing plant is the first of its kind in the African continent with state-of-the-art equipment and 35,000 tons processing capacity, qualifying the company to be the largest primary peanut processor in Middle East and North Africa region. Kernile business model and corporate culture is highly entrepreneurial and the company is positioned for significant growth in Africa and globally. Our team is committed to continuous improvement and delivering the very best service level thank to their entrepreneurial mindset, deep belief in our business model, high level of integrity, and excitement about future opportunities in Africa. We like to partner with our customers to understand their needs, help on their sourcing strategy, and enhance their operations if possible. 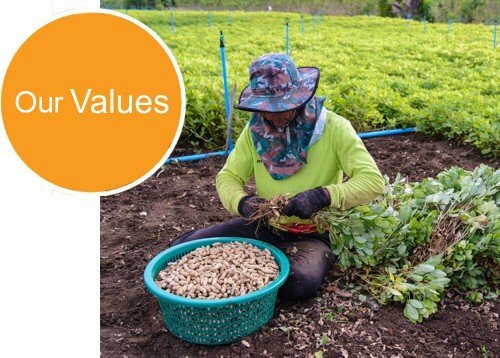 We focus on not simply becoming a commodity supplier, rather on having our customers understand the morale of our brand, business model, social responsibility, and our caring about the quality. Our brand is already recognized by renowned European and global manufacturers. Connecting African farmers to customers globally while being an effective and responsible supply chain manager. •	Farmers, processors, and investors can achieve good profits while reserving our planet. •	We see risk and industry fragmentation in Africa as an opportunity to grow, save, and have a social impact. •	Good quality crops can be affordable to the end consumer is supply chain is managed properly and fairly. •	Learning from failures, and continuously reviewing and improving our operational practices.